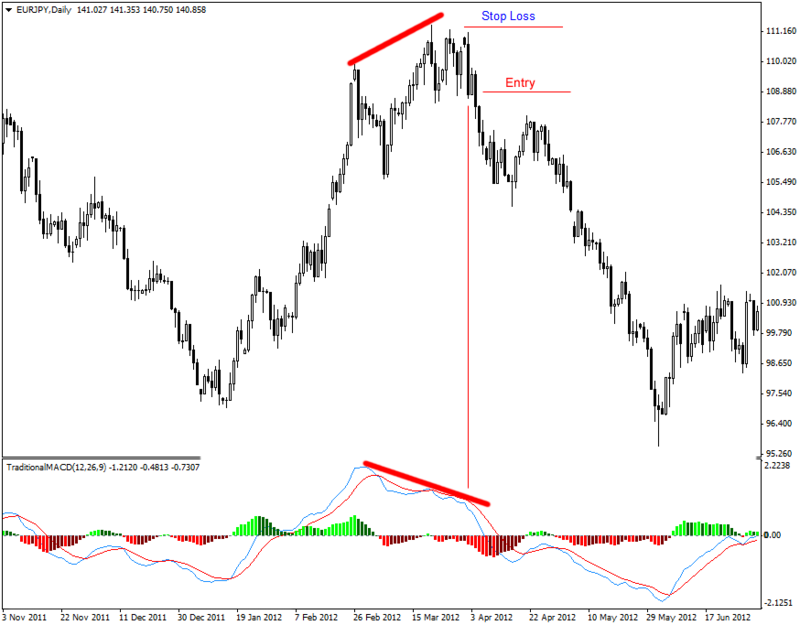 MACD is a great indicator to confirm the setups, locate and follow the trends, no matter what trading system you trade. Among all the signals or patterns that MACD makes, MACD Divergence is the most famous and reliable among professional and senior traders. Once I heard from one of them that since he learned how to locate and follow MACD Divergence, he had never had even one case that didn’t work for him. I believed him, because he was really professional and had already developed his discipline and patience and repeated his success for so many years. After candlesticks, MACD is the indicator that I like to talk about and make novice traders use it, because even if it doesn’t make any money for them, at least it prevents them from losing money. If I wanted to give a second name to this indicator, I would choose “Patience”. It makes a lot of sense to name MACD as Patience Indicator, because when you think you have found a strong trade setup, MACD prevents you from entering the market too early. And when you think you have made enough profit from a trend, MACD makes you be patient and hold your position longer. Somehow the mention of the MACD always brings divergence trends and patterns to our mind. Traditionally we see that the MACD is more often than not used as a measure of the market direction and potential reversal trends in the markets. 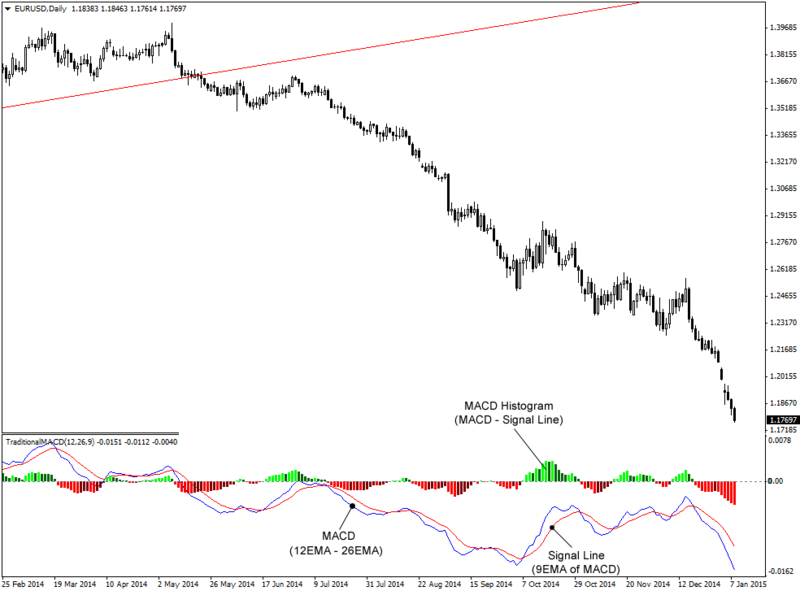 More than convergence, divergence and especially the reversal signal is most popular usage of the MACD charts. We can essentially relate this to the emotional connect that fear and greed has with the execution on this chart. In simple terms, the divergence pattern is a representation of the fear factor and how it drives market movement. Therefore, trading the MACD Divergence becomes both a bit tricky but very interesting as well. The MACD Divergence is seen as a firm sign of reversal in the market. So following the charts should you be preparing for reversals immediately or do you need to wait out? For that first and foremost we need to have a clear understanding of what exactly divergence is and how its interpretation might vary from chart to chart. Almost any momentum chart, which you might plot, will show a certain type of divergence. So how does it differ in its interpretation between let’s say an MACD and a Stochastic or even a RSI graph? For that understanding, what the divergence conveys becomes very crucial. A divergence in general occurs when the price action is seeing lower lows while in a downtrend, but the indicator is not reflecting that move. Similarly, when the markets are trending higher, you notice divergence when the price action is seen scaling higher highs but somehow the indicator remains stoic and oblivious of the changes, and forming lower highs. Sometimes traders use this fundamental divergent move as an indicator in itself and use it to forecast future price trends and even reversal in prices at time. Thus, divergence is that one tool that easily helps you, identify the key bottoms and tops of a particular currency as well as the overall market depending on the final plotting of the charts. Essentially what it conveys is the shift in the market momentum. After all, the markets are driven by momentum and the momentum is the force that oscillates between highs and lows and thereby bringing about the changes in the price action. What the momentum indicator helps you comprehend is the winds of change and the need to change gear at a specific price point. Using a driving analogy, it is that force that makes you slow down and let the speed slip down and change gear from the 4th position to the 1st position while you were comfortably cruising on an expressway in top gear. Most cases this would be because you need to take a turn and change track. Similarly in this case too it is generally a signal of a reversal in prices and prepares you to start a new trend. But how you improve on the accuracy rate of spotting the trend correctly using this indicator? This is a particularly relevant proposition in this context because for every successful spotting of difference there are as many or perhaps a higher instances of ones which haven’t been successful. But with certain improvisations you can create stunning results for all to watch. One approach that some trader suggest would be to use a double divergence pattern instead of making do with the usual single graph. So, for example, choose two MACD Divergence graphs, one a weekly and another one on the daily time frames. The premise of the entire exercise is increasing the probability of a winning strategy through deriving it from the same phenomenon happening twice. This can be possible when there is a significant slowdown in momentum and price action could be close to the point of peaking out. Though there is no written evidence to support it, certain times experience overrules evidence. Mere observation of many million chart movement through years confirms the efficacy of this approach. Supposing, you tracked the movement of a specific currency pair at x time period and saw that it is trending lower. Now during the course of this uptrend, you might have noticed a specific point where the price action hits a higher high, but the MACD makes a lower highs. You get your divergence 1. Now through the course of trading through the x time period, you might have another instance of the MACD hitting a lower high and signaling a further slowdown in price momentum. Thus, you get a double divergence confirmation on the charts for you. With the creation of a double divergence on the charts, it is possible to make a trend line on the charts and put stops in places in a way that a breakout if it happens can be optimized and the entry points are clearly demarcated. Another interesting factor, to notice in case of a double divergence, is volumes thin down significantly when the second divergence is underway. Thus, it is a point where the momentum and the volume indicator seem to arrive at common grounds to represent a specific price action phenomenon. What you see on the above chart is Traditional MACD. MT4 default MACD is different. Click Here to download and install the Traditional MACD on your MT4 platform. 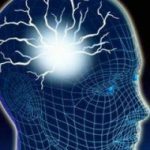 There is yet another approach that you could put to use to bring about further forceful reversal signs with the help of MACD signs. Normally most traders who use MACD divergence, look for single line crossovers. Though not incorrect, these tend to overlook the fundamental embedded signals within the MACD. Looking for these embedded signals can help a trader to easily identify potential reversals in the markets using the traditional divergence signals but interpreted in a modern manner. The following example could perhaps highlight this fact better. Let’s assume that you are tracking the EUR/JPY movement and you see that it has clocked a 1050 pips upmove after having declined 1700 odd pips. So how will divergence that can be easily spotted used to identify possible reversal points? As we all understand that divergence is that point in the charts where the indicator separates itself from the price action. They do not function in tandem anymore and can be seen going their separate ways. So during the initial downmove, the MACD is seen making higher highs while the price action continues to slip. However, one needs to remember that this kind, a trend might continue over an extended period and picking up potential change, could be difficult at certain times. So goes without saying that your stops should be in place at all times to act as safety valves against any potential mis-reading or mis-calculation of risks. While traditional MACD divergence might have a significantly lower success rate in spotting reversals, here is yet another way to boost the probabilities working in your favor. As a trader you need to strive towards basing your strategies in sync with the overall sentiment and emotional bias of the market. By this I mean going for a divergence on a day that the market has seen some upmove or executing trade on the basis of a convergence on a down day in the markets. What this does is it ensures that you trade in sync with the fundamental trend in the market and thereby limiting the possibilities of mis-calculating a reversal point or a point where the trend might suddenly see an inappropriate swing during the course of trade as a result of any exterior factor. Also through this, it becomes necessary to keep a close watch on the resultant price action, another reason why there are lesser chances of the trade falling apart and reducing your loss probabilities in the course of trading. Also, the stop losses at work ensure that your trades do not have a broad scope of digressing from the overall trend. 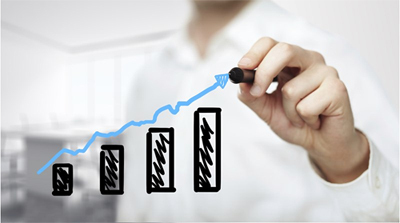 While with the help of certain innovations it is possible to improve the accuracy rate of an indicator predicting price move and trend reversals, your day to day trade needs to institutionalize certain best practices that not only seal your profit perspective but also minimize your loss probability in case of a downturn or a trade turning bad due to certain external news elements or other similar factors impacting price action. So here is a recap of some of the basics that traders should never lose sight of to improve the accuracy potential. Irrespective of the extent of your confidence level with regards to the efficacy of your trading strategy, a stop loss level should never be compromised with. You never can predict 100%, and the stop loss is what acts in your favor to ward off the potential harm that could be inflicted on you and your trading position. Always ensure that your trading strategies are accompanied by strict stop losses and they are never compromised in any event. This is relevant as certain times greed tends to overcome fear in the markets, and that could be the ideal recipe for disaster. 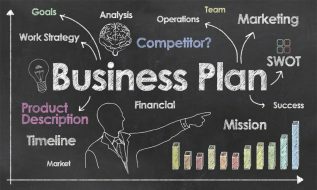 Profit and loss targets are extremely sacrosanct and how you achieve these is crucial. A fundamental factor that you need to remember is the extreme need to be realistic and always remember it is better to err on the side of caution. Don’t have irrational expectation from the market. Set up realistic profit and loss targets and work towards realizing the profit. The loss target is crucial from the perspective that over and above your stop loss, this is the point till which you can afford to weather losses. Any further downmove should be your signal to wrap up. Whoever said that emotions have no role in trading is completely mistaken. One must understand it is primarily greed and fear that work in tandem to drive the majority of market moves and price action that you see on a day to day basis. Therefore, it is not without reason that market men put additional stress on the need to rein in your emotions. Whether you are panic stricken by the sharp nosedive in prices or keen about expanding the profit line riding on the uptrend seen, remember that balancing is a fine art that becomes crucial for success in your trade. Remember the culinary analogy, either sugar or salt if not used in moderation will result in disaster recipes. Of course, goes without saying that the price action needs to be followed like a hawk. It does not mean that you have to be up and awake in front of the screen day in and day out monitoring ever pip move but at the same time, you must remember never to lose sight of the primary levels and how they need to be capitalized in tandem with the trend in the market and overall sentiment in the markets should not be ignored upon. Trade the longer time frames like daily and longer, check the charts only once in a day and make hundreds of pips from the trade setups like MACD Divergence. That is the easiest way to take the maximum advantage of the price movements. Any other style that you choose will be nothing but headache. Trend reversal continues to be one of the most interesting junctures in the course of trading. The market prepares for it for weeks, and the then the after effects of it also linger on for a significant time. This is what is encompassed and reflected in its entirety through the MACD Divergence as we see it. MACD Divergence is nothing but the obvious point of discord between the price action and MACD indicator. It is that point where the price action quite against itself yells out loud and clears the need to start all over again, the need to change track and wrap up existing positions. In short the reversal in the market. Despite all the arguments in favor and against the use of divergence as an effective tool to measure this fundamental change, a lot depends on the efficiency and the involvement of the trader who is employing it. The trading tools are nothing but the visual representation or mathematical identification of a particular trend that is underway. Therefore, it is nothing out of the ordinary that is being undertaken and the key to a smart trade is being ahead of the crowd and being able to apprehend it before other are able to. So make trend your friend and rely on your instincts as much as the inherent trading tool. I have trouble in getting MT4 to recognise the downloaded ‘Traditional MACD indicator’ – I download it using ‘Save Target As’ and then copy it into The ‘MQL4/Indicators’ directory by using the ‘FILE/OPEN DATA FOLDER’ path in the MT4 program. This has worked before with other indicators, but not for this indicator. Is anyone else having the same problem? I installed it through the same method without any problems. No go for me – tried disabling security – another browser – I remember I tried this one before the LuckScout MACD coloured and also had no success – The LuckScout one gave no problem – maybe in time it will behave. I have had this problem in the past. It can be due to upgrades to MT4. Email tech support from your broker with the issue and they will give you step by step how to fix it. Also, by chance is this Peter Wagner from Bunbury? I do not know how to “email tech support through the Broker”? I presume you mean direct to MT4 – would you please advise how? my email is peterwagner618@gmail.com I am not from Bunbury but happy to communicate. Also it is not working at my platform. It opens just empty space. Try downloading directly within MT4 using Codebase, a few tabs along from your Trade tab. Double click to open a web page with description; right click to download. Amazing amount of indicators in there. not following this – can you please explain more – after opening code base – are you saying that the traditional MACD is in the code base library? There are a few MACD in codebase, one that shows divergence I believe. You just have to explore in there. I’m slightly confused by the original comment mentioned about downloading the “traditional” MACD – where was that from, here on Keys? To me the traditional MACD would be the one provided within MT4 already, therefore no need to download; all others would be Custom Indicators. I cannot figure what happens on my system – the traditional MACD does not work – it exists in the Indicators folder (into which I have copied it) – but when applied to the chart – the cursor carries the small rectangle (same as in all other indicators) but when released onto the chart nothing happens and it has not been added to the charts’ indicators list. Majids signals indicator – the FYKeys MACD – all work fine. ?? What is your MT4 build? Make sure it is updated. Download and install the file from the scratch. Restart the platform and try again. the bizarre thing is that others pasted to 1indicators’ work fine. I guess it will become clear eventually. It can be a file damage. If you install it from the scratch it can be fixed. If not, you can install MT4 and overwrite the files to repair damaged file. To locate divergence I have MACD and RSI both on my charts. More time RSI creates divergence while the MACD show nothing. May it possible RSI work better than MACD in stock market charts? This is what you can find out through back-testing. RSI Divergence forms more frequently and it really works. MACD is slower, and you will have less number of Divergence. However, this one also works strongly. But it rarely happens that both of the form Divergence at the same time. I can see this for one time frame but as you talk about two time frames – I am not sure how to draw a trend line between the two time frames, using the results from the two time frames? Is it possible to give a chart example? Sure, I will add some screenshots at the earliest convenience. 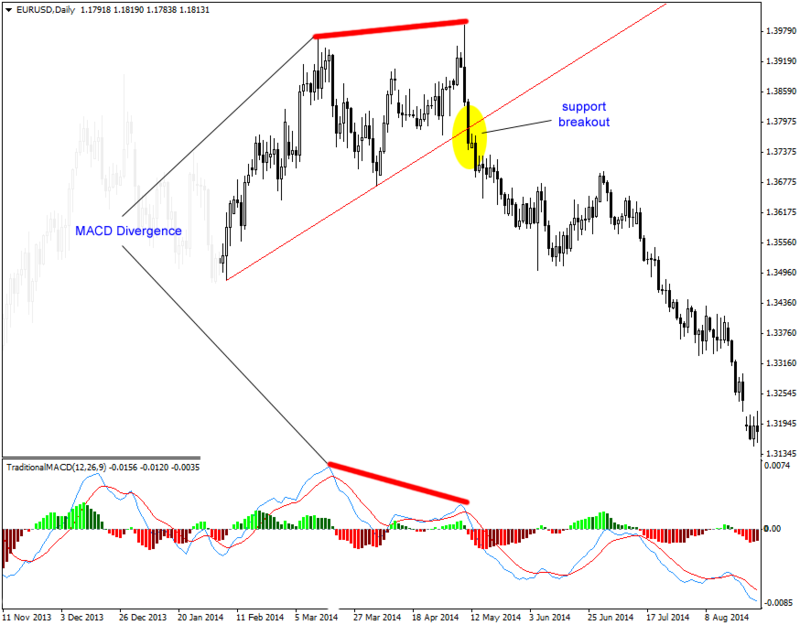 What is the difference between MACD and Awesome Oscillator (AO)? Normally I refer to AO to check divergence and the entry is similar as yours after the support/resistance line breakout. I have never tried the AO indicator. Hi,, Iam an ardent follower of this site as I find it quite informative. However the other day I bumped into a site with several contributors who harshly criticized this site that it is fake and very misleading. I felt very disturbed as I had a lot of confidence in this site. Kindly respond. People are free to review any site over the internet. If some people think our site is not helpful or misleading, then I respect their ideas. But we have tried to do our best to have a helpful site. If they could tell us what is misleading on this site, we would be glad to remove it. But the problem is criticizing is usually for the purpose of sabotaging, not for helping. If they really want to help people, then they have to let us know what is wrong with this site and how we can fix it. However, I think all they want is that we stop talking and shut down the site, because they think what we tell people on this site is against their goals. For example, so far we have enlightened people against the scam brokers and the way they cheat people. There is no doubt that this doesn’t make some people happy. represents Strong bollinger breakout + candlestick, 50SMA , double bollinger strategy and MACD divergence . This site is far the best i have ever seen . It is very professional and full of useful information . Don’t believe in other people . Come here and learn all the basics and some advance strategy . 1 – at what condition a MACD divergence/convergence will fail? at what condition , effect of a divergence/convergence will burn or will be side way movement? 2 – for better working of a MACD divergence/convergence is there any relation between the distance of the two lowest/highest of histogram bars. i mean for effective of divergence/convergence, whether this distance to be long or short is better? 3- the location and place of divergence/convergence is created in the charts. is it possible to form in the middle of a trend? 4 -we have learned about RD (REGULAR DIVERGENCE) so far. what about HD (HIDDEN DIVERGENCE). which of them are strongest and effective in trends. thanks and sorry for long comment. 1. I don’t know. Nobody knows. A reasonable stop loss limits the losses. 2. Look at the examples I have above. They should not be too far. 3. Yes. That is why we have to stop a reasonable stop loss. 4. It is not possible to say which one is stronger. They are both strong. But they should be noted when there is a strong candlestick pattern. That is a good way not to be trapped by the false divergence/convergence. does it make any problem if i use new macd histogram instead of traditional macd? i use metatrader5 platform. I don’t think it would make any problems. I just wanted to mention the nice example of MACD Convergence on NZDUSD daily tf and we just took that trade on the DBB strategy. I prefer to take it after a strong candlestick bullish signal or a resistance breakout. I will replace it with the new version that works with the new build of MT4. My question is very much simple, i dont know about that, in the tutorial i am told that there are two lines in macd indictaor. But when i insert in mt5 there is only one single line and some bars which are plotted below or above line. I am confused ! what is it ? Traditional MACD has two lines and bars. What you see on MT5 is just the MACD histogram and a moving average. thanks for reply, then how i can correct it ? You have to install the traditional MACD as a separate indicator. You can download and install it for free. Please guide me on which MACD downlaod with colours should l download?